Everybody knows that fitness is a must. It improves our physical and mental health, it helps us to stay in shape and release everyday stress. Ok, we have accepted that, but this doesn’t mean we are ready to spend our evenings in the gym without feeling bored. We are tired from the whole day, and most of the time, the only thing we want is to sit on the couch and watch TV. It is easy to find excuses, but it is braver to find motivation. And how can we find motivation? 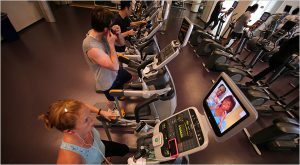 If going to the gym is not only healthier but also funnier than watching TV, we will prefer it, and after a while it will be our number one priority, the gift we make to ourselves and we love it. It may sound you awkward, but the good news is that workout can get entertaining. Read here how. 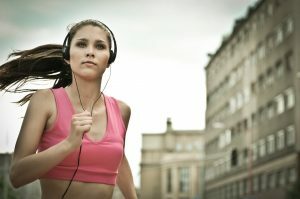 Music should be your number one company during exercising. It boosts your performance and makes time amusing and joyful. 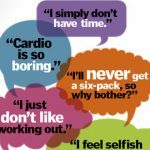 To find powerful motivation, avoid listening to radio all day long. On the evening, you can’t wait to put your headphones on and start jogging or whatever you want. Your favourite songs will give you energy to move on and forget your weariness. I wouldn’t recommend it, if for some people wasn’t the only way to go to the gym. You can combine watching TV or reading a book while cycling. However, this won’t help you perform very energetically, but it may be good for a warm up. 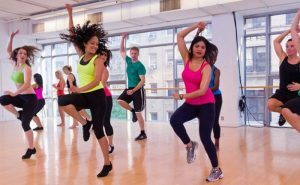 Dancing can be a powerful cardio activity that helps you burn many calories and improves your posture and sense of rythm. This is why you can find in your gym many programs that combine dance with exercises. Zumba, aerobic and tumbao are only some of them. Especially if you are a fan of Latin music, there are numerous options to start with and make your dream to become a dancer partially true. 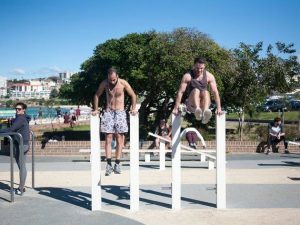 In countries with warm and sunny weather, many municipalities have organised outdoor gyms in parks and other areas. 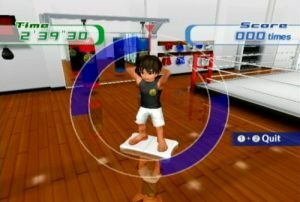 There, you can find organs for cardio exercises or to lift weights. Take a friend and enjoy your workout inside a park or by the sea. You will feel it more like having a stroll.